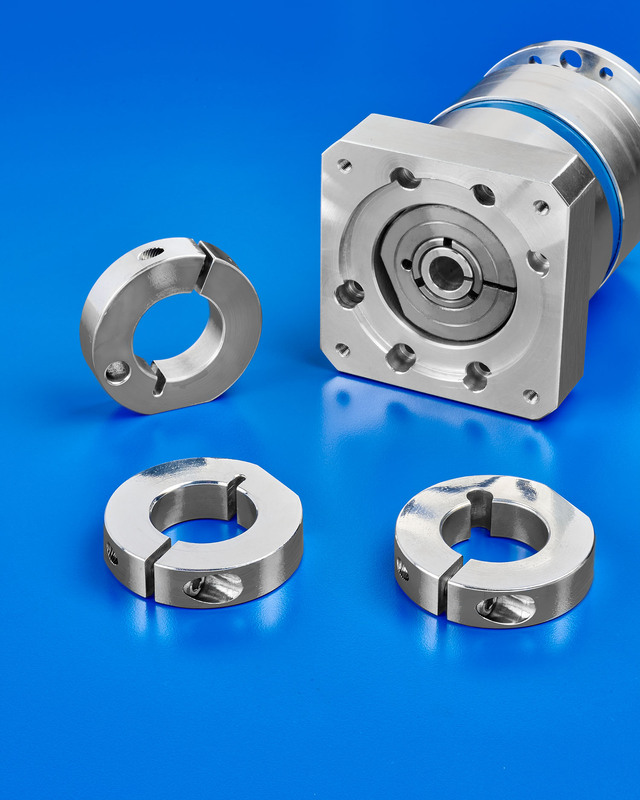 Custom designed split hub clamps that can be manufactured to OEM specifi-cations for use with hollow shaft motors, encoders, and gearboxes are being introduced by Stafford Manufacturing Corp. of Wilmington, Massachusetts. Stafford Split Hub Clamps are available in one- and two-piece clamp-style designs machined from a variety of materials with special features such as wider slots, stress relief holes, and balancing flats. Suitable for both stationary and rotary applications, these split hub clamps are non-marring and can be manufactured to precise OEM design requirements. Easy to adjust, Stafford Split Hub Clamps can be machined from aluminum, steel, stainless steel, brass, titanium and other alloys. Sizes can range from 1/4” to 6” I.D. with virtually unlimited customization including heavy duty construction, balancing options, and external modifications. Stafford Split Hub Clamps manufactured to OEM specifications are priced according to material, configuration, and quantity. Quotations are available upon request.